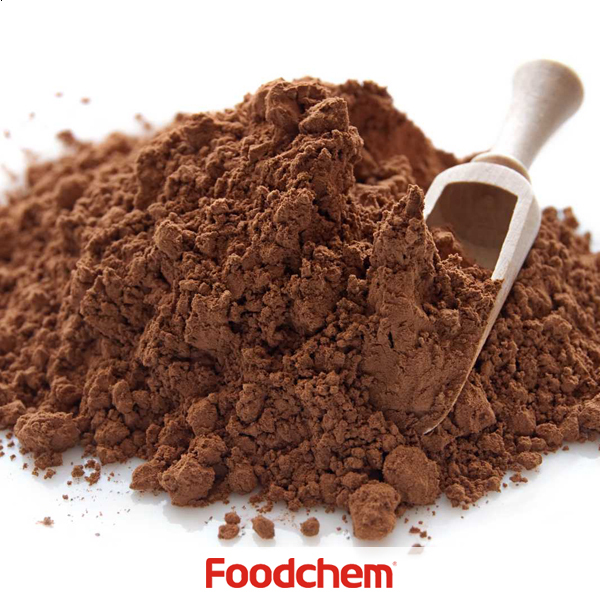 Cocoa Powder is one of the popular food additives and ingredients in most countries, As a professional Cocoa Powder supplier and manufacturer, Foodchem International Corporation has been supplying and exporting Cocoa Powder from China for almost 10 years, please be assured to buy Cocoa Powder at Foodchem. Any inquiries and problems please feel free to send emails to us via sales@foodchem.cn, we will reply you within 1 working day. Cocoa powder is a powder which is obtainer from cocoa solids, one of the two components of chocolate liquor. Chocolate liquor is a substance which is obtainer during the manufacturing process which turns cocoa beans into chocolate products. Cocoa powder can be added to baked goods for a chocolate flavor, whisked with hot milk or water for hot chocolate, and used in a variety of other ways, depending on the taste of the cook. Most markets carry cocoa powder, often with several options available.Cocoa powder contains several minerals including calcium, copper, magnesium, phosphorus, potassium, sodium and zinc. All of these minerals are found in greater quantities in cocoa powder than either cocoa butter or cocoa liquor. 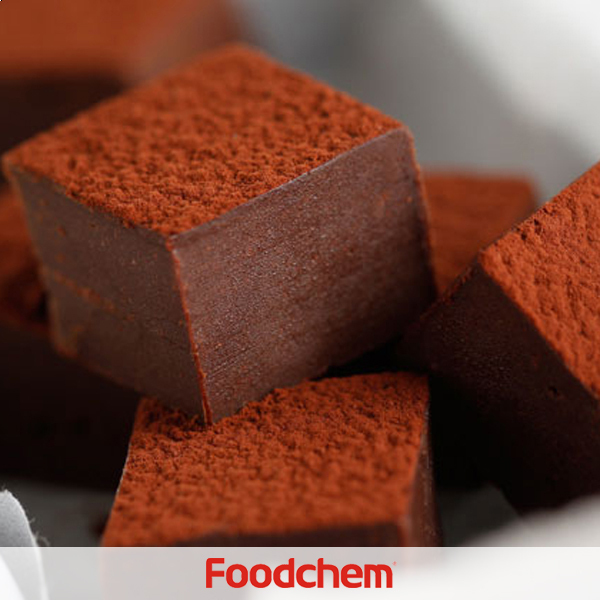 Cocoa solids also contain 230 mg of caffeine and 2057 mg of theobromine per 100g, which are mostly absent from the other components of the cocoa bean. Foodchem is an ISO2008 9001 certified company, as for Cocoa Powder, we can offer HAPPC, KOSHER, HALAL Certificates, ect. Foodchem is both manufacturer and trading company, we are Cocoa Powder distributor, at the same time, we are manufacturer of other products. 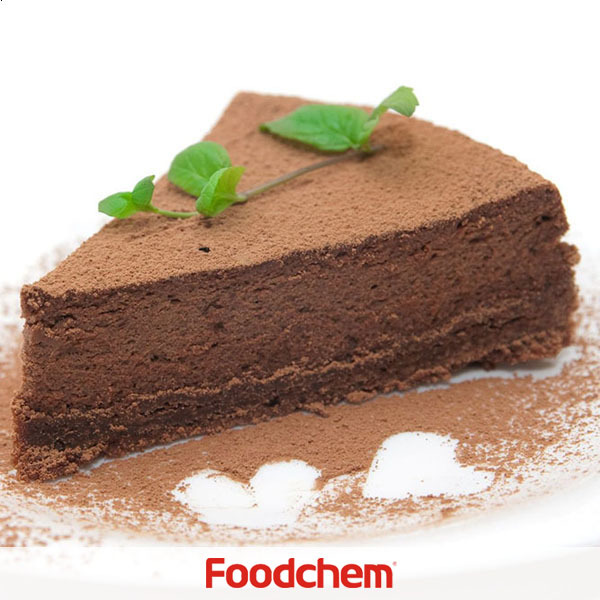 Foodchem is a famous supplier and manufacturer of Cocoa Powder in China, and has been corporate with many Cocoa Powder suppliers for several years, we can provide you with cost-effective Cocoa Powder. Ali FouladiQ : Hello, we are interested in you Cocoa Powder 6%-8%,we would like to have the specification sheet, can you send us? FOODCHEM A : Yes, our sales manager has send you the product data sheets, please kindly check, looking forward to your feedback. Eqram ChowdhuryQ : What is the MOQ of Cocoa Powder?Kindly send me the complete product catalog with Price list. FOODCHEM A : Hello,thanks for your interest,the MOQ of Cocoa Powder is our sales manager has sent you email about issues mentioned above,please kindly check. José Diego ValadésQ : Hello,I'm writing from Mexico and I'm interested in buying Cocoa Powder, do you manufacture this? FOODCHEM A : Very pleased to inform you that we are able to supply.If you are intereseted in our products,you can leave you contact to us,our sales manager will contact you and give you the quote as soon as possible. José DiegoQ : I'm from mexico, interested in buying Organic RAW Cocoa Powder, do you manufacture this? 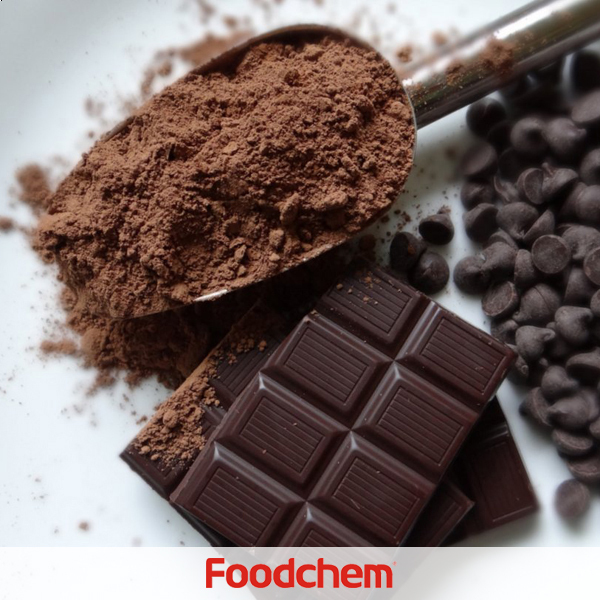 FOODCHEM A : Well,we do not manufacture but we are exporters who are able to supply cocoa powder as well as other cocoa series products. Dinesh VinodQ : Please send us quotation of Dark brown Cocoa Powder with complete product details. karl klosQ : Do you have Cocoa Powder8-10? if have,do you manufacture it?what about the origin of your material? 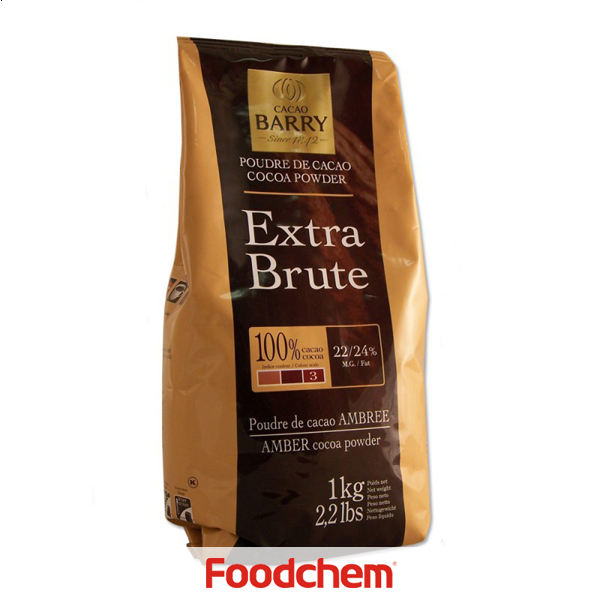 FOODCHEM A : We are the leading Cocoa powder supplier in China, we can supply different kinds of cocoa powder.